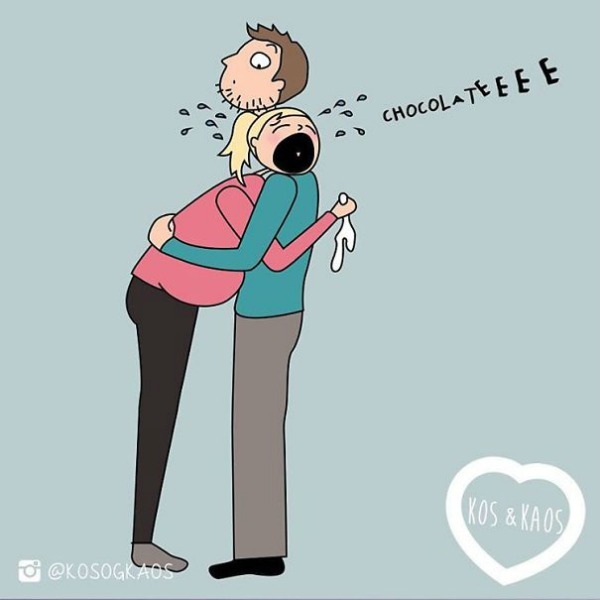 Parenting can be explained in so many different ways, but this mum has summed it up perfectly in just three words – Cuddles and Chaos. 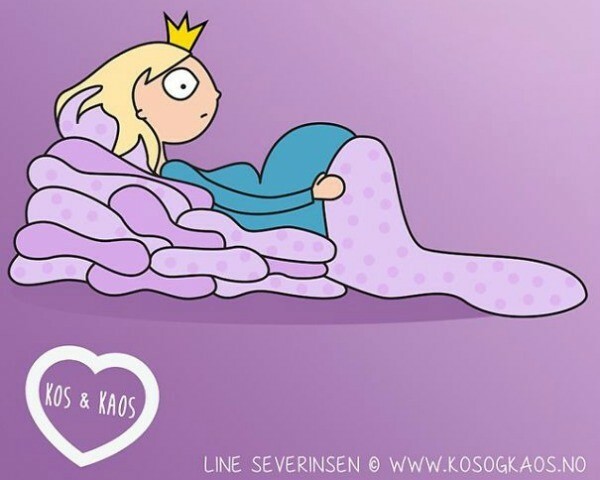 This is the name of her online comic (or ‘Kos og Kaos’ in Danish), and we are just loving the uncensored realities she has captured, especially during pregnancy. Because, let’s face it mums – it’s not all about glowing skin and whimiscal belly shots. There are so many behind-the-scenes moments that no one dares to talk about, let alone draw about. 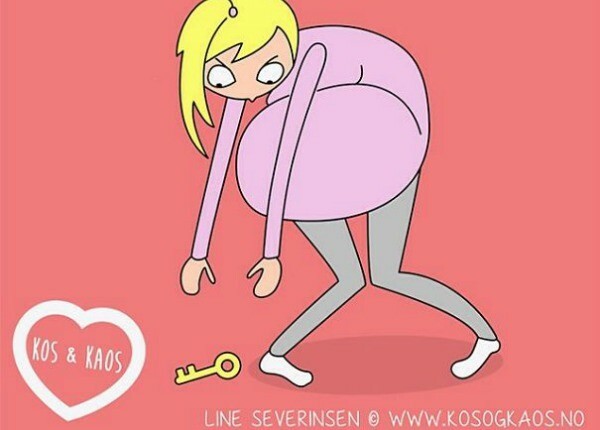 Line Severinsen, an animator and mother of two, started her web comics when she was pregnant with her first in 2012. 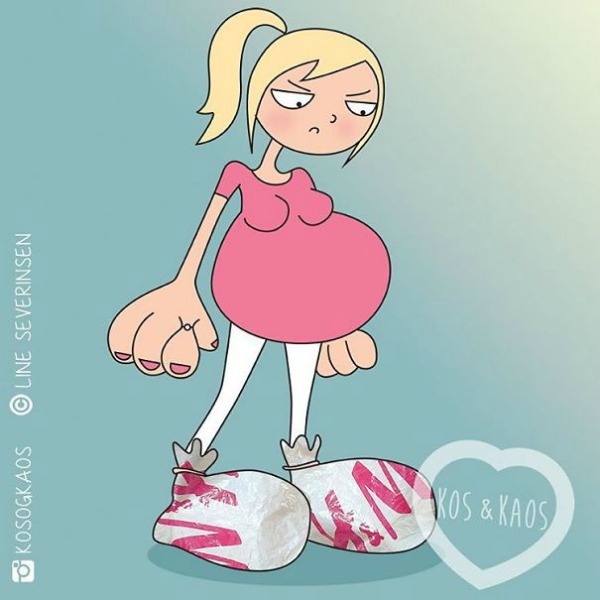 After having her second child in May this year, she has expanded her line of hilariousness and has a pretty impressive following on Instagram. So what are some of the things we can look forward to in pregnancy? Because running out of chocolate is clearly a tear jerker. As is any commercial featuring a puppy, newborn or animal of some kind, discovering your favourite singer has been voted off The Voice and realising that Subway forget to put avocado on your sandwich. Think it’s just the belly? Think again. Watch as your bum swells, your hands puff and your ankles collide with your calves to transform into highly-attractive cankles. Look! It’s a pregnant belly! Let’s see if we can feel the baby move. You may love having strangers put their hands all over your tummy or you may be on the other end of the fence – in camp “get your grubby paws off my belly”. Best advice? 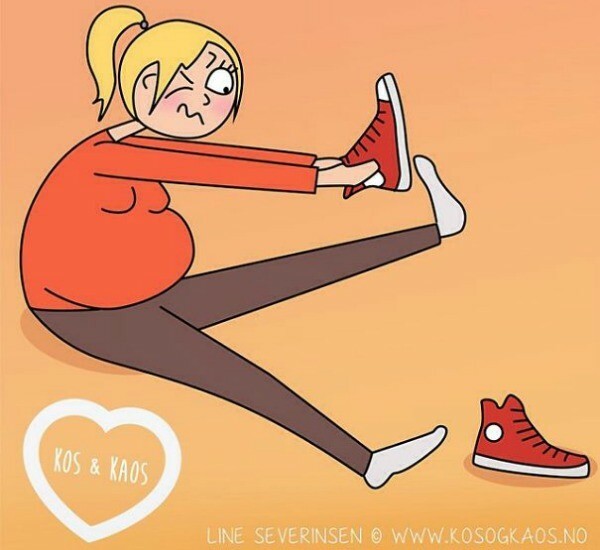 After 36 weeks, give up on shoes and socks and opt for thongs. Or bare feet. 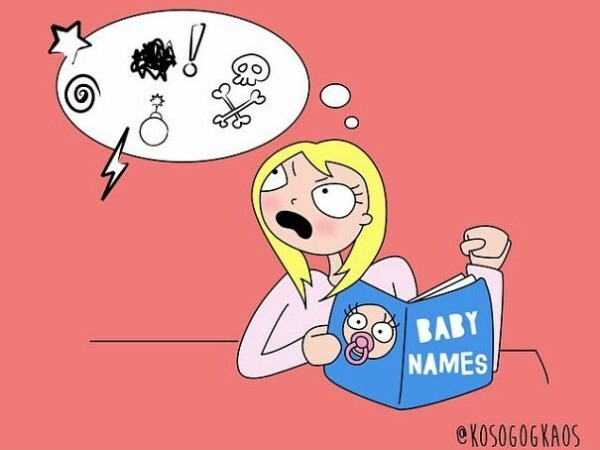 You will never realise how many people who actually don’t like until you start deciding on your baby’s name. You’ve got 87 pillows underneath you. You’ve got the entire bed. You’ve got the comfortable blanket. And yet, you are still wide awake. Welcome to pregnancy, where you get nine months to prepare to never sleep properly again. By the end of the final trimester, if you happen to drop an item, you have two choices. A. Use your toes to try and guide said item up towards your belly so you can reach it or B. Forget about the item. Because reaching down to grab those keys just isn’t going to happen. 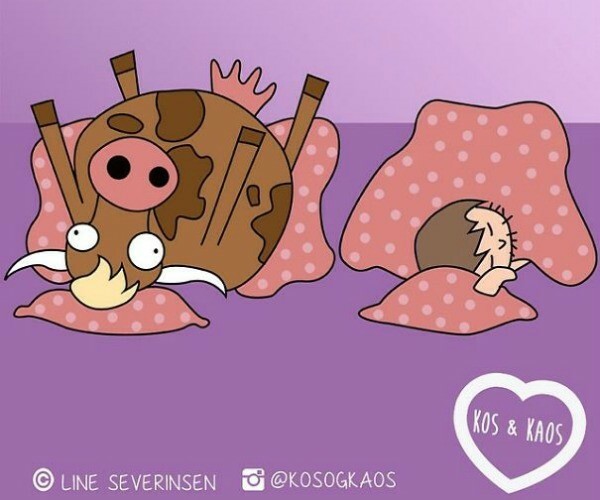 Many women will not wake up in the middle of the night in agony from leg cramps that start at the calf and go into the toes. Count your lucky stars if you are one of them. And, if you’re not, we feel your pain. What are some of the other pregnancy surprises in store? 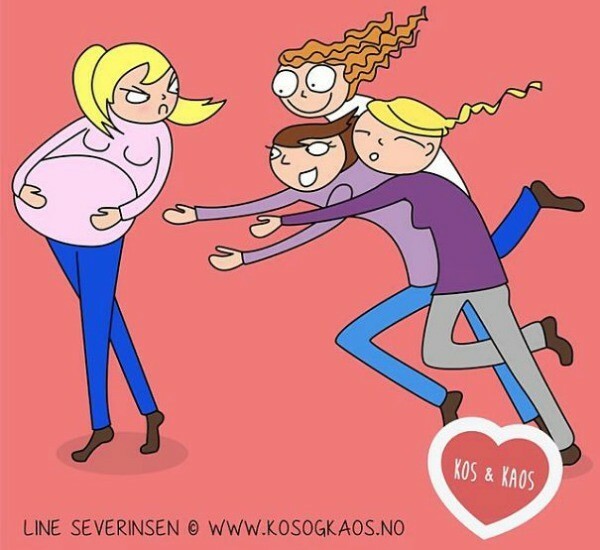 Check out the best things about being pregnant and 10 things baby bumps are awesome for.